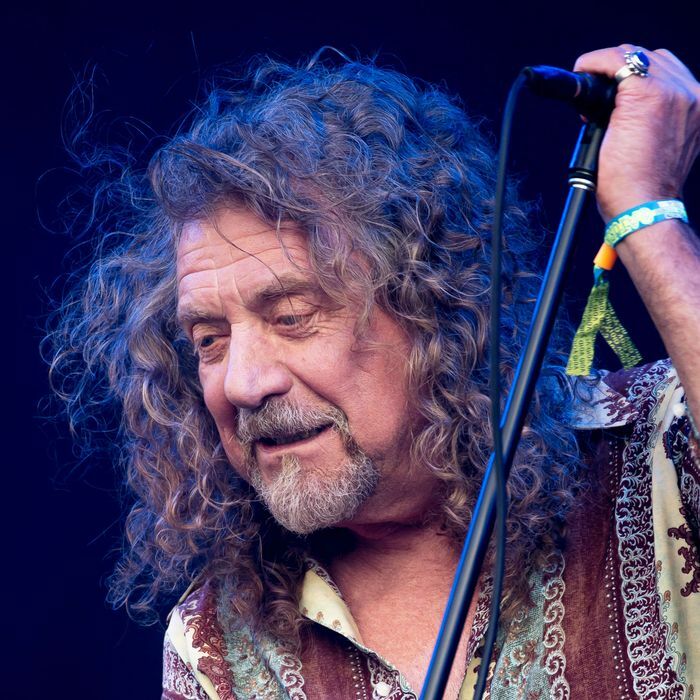 You could argue that Robert Plant’s solo career began while he was still a part of Led Zeppelin. The band’s final studio album, In Through the Out Door (1979), was an album where Plant, in collaboration with John Paul Jones, was primarily responsible. Crippled by chemical dependence, Jimmy Page and John Bonham were hardly in a position to compose their own parts; so playing what was written for them by the other half of the quartet would have to do. Loungy in tone and gentle in tenor, In Through the Out Door turned out to be the least typical collection in an already eclectic Zeppelin catalogue. It was a strange note for the band to end on, but in its way a fitting one. The album’s wistful, elegiac dimension (particularly in “All My Love,” dedicated to Plant’s recently deceased young son) also ended up serving as a eulogy for the band, whose remaining three members agreed to part ways in 1980 in the wake of Bonham’s alcohol-related death. The echoes would linger for nearly a decade, as Plant set off on a solo career — “solo” being, as usual with singers, shorthand for “singing with different musicians.” There was never an issue of matching his performances with Page, Jones, and Bonham; as Zeppelin and its fans knew, Rolling Stone covers from here to infinity announced, and critics slowly came to realize, the band’s record was matchless. The question was whether Plant would catch a second wind, and if so, how. It took some time. His output throughout the ’80s and ’90s sounds, for the most part, like outtakes from In Through the Out Door: there’s the same rubbery texture, the same rock-god-on-extended-sabbatical vibe. Plant’s lyrics were still covering familiar ground as well. They were still deeply informed by folk tropes and spiritual images, still centered on what was traditionally considered the natural world: rivers and trees, birds and saints, Zen and nirvana, longing and loss. The work — all six albums of it — holds up well enough on its own, but necessarily suffers when set against the Zeppelin albums to which they can’t help but hark back. There was no point in blaming such a wondrous voice; it was just that it would take some journey to exit the shadow of the greatest rock band ever. Plant was hardly alone in being tied to the Zeppelin estate. Many dominant bands in those two decades, whether hard rock (Van Halen, Guns N’ Roses) or grunge (Soundgarden) were fronted by singers and guitarists doing their best imitations of Plant and Page — the two of whom would finally, near the end of the period, compose, play, and tour together once again. The experience seems to have been cathartic for Plant; he returned to his solo career in a spirit of renewal. Raising Sand, his Grammy-winning album of cover duets with Alison Krauss in 2007, has been his most prominent achievement, but the freshness of that work also resounded in Dreamland (2002), Mighty ReArranger (2005), Band of Joy (2010), and Lullaby and … the Ceaseless Roar (2014), albums where Plant’s long engagement with folk, blues, Celtic, Indian, and Middle Eastern sounds merges ever more seamlessly with a deepened appreciation for the tremulous heft and pace of bluegrass. Released today, his new album Carry Fire further extends Plant’s voyage and reaffirms his mastery. There’s always been something deeply enviable about Plant’s voice, which summons, more or less without effort, a sense of sustained astonishment. Tipsy with its own abundance, it sifts through what it describes; one feels as if the material world has been passed through a filter until only the best things remain. He possesses, in other words, unhindered access to the relation between the world’s various folk musics and the natural world. He’s classical, not neoclassical: there’s never any sense of laboriousness, of template. He always sounds as if it’s good to be alive. Much as songs like “Freedom Fries” on Mighty ReArranger addressed the Iraq War, certain tracks on Carry Fire allude to politics and history. “Bones of Saints” references an impending war; “New World …” recounts the European invasion of the Americas; “Carving Up the World Again … A Wall and Not a Fence” is informed by Brexit and Trumpism. In Plant’s delivery, these dire events, and his resistance to their criminality, take on the inevitability of twigs floating down a river or a bird taking flight; they fit in with the songs of love and departure without a hitch. Looking back, this compatibility produces an eerie feeling, but in the moment nothing seems less strained or more natural. Plant is not a particularly personal singer: The self never takes priority over the material. It’s not his emotions, but emotion itself that he channels, and if a certain distancing is the inevitable response from listeners looking for reflections of their own selves, it’s ultimately a small price to pay for perfection. Like a retiree who, after a period of aimlessness, discovers new pastimes and an improved relation to life, Plant has come into his own. He’s always going to be remembered as Led Zeppelin’s singer, but now he’s clearly his own man as well. Though his voice can’t reach the aching summits of his rock-star prime, in recompense he’s gained a lower, darker register, a tone ideally suited to evoke the wonder, and embody the weight, of passing time. Fans may dislike his refusal to reunite Zeppelin for a reunion tour when Page and Jones are plenty willing, but the truth is that what made that band great was its willingness to face forward. It’s no accident that so many of their lyrics focus on departure and the exhilaration of endless travels, nor a coincidence that Plant was responsible for most of those lyrics. So long as that questing impulse remains strong in his own music, he’s honoring the spirit of the band far more than any reunion ever could.